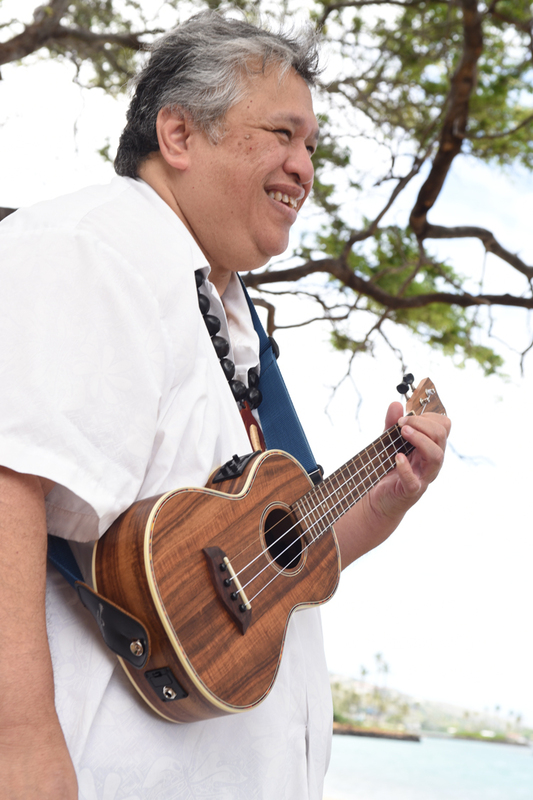 Great to have a Hawaiian Musician at your Honolulu beach wedding! 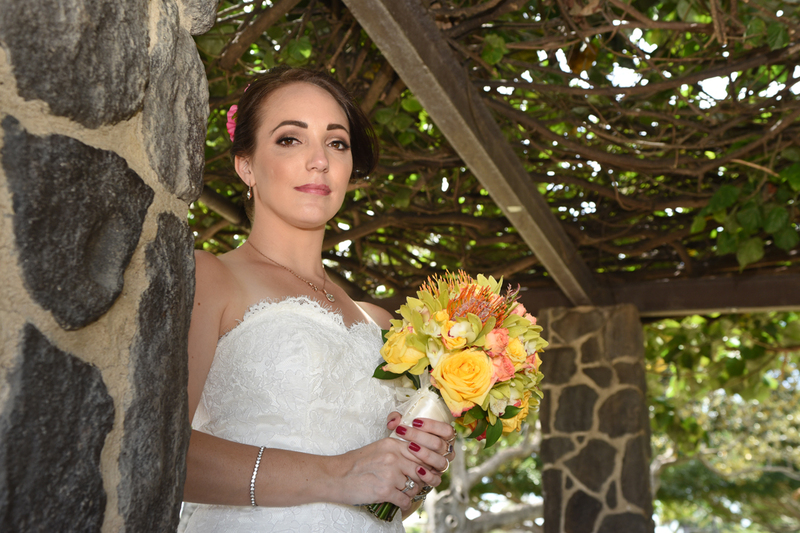 The Photographer keeps shooting because Australian Bride Vanessa comes alive in front of the camera. 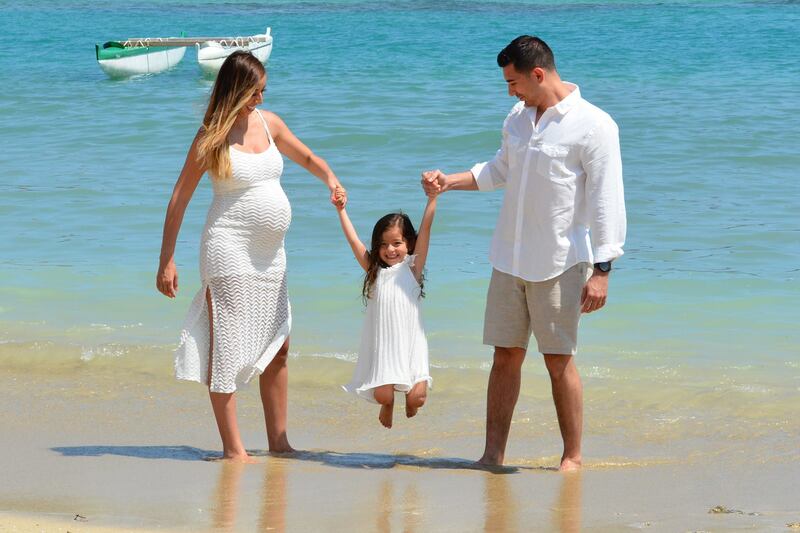 Michelle & Gerard give their cute baby a little break while they take a few photos for themselves. 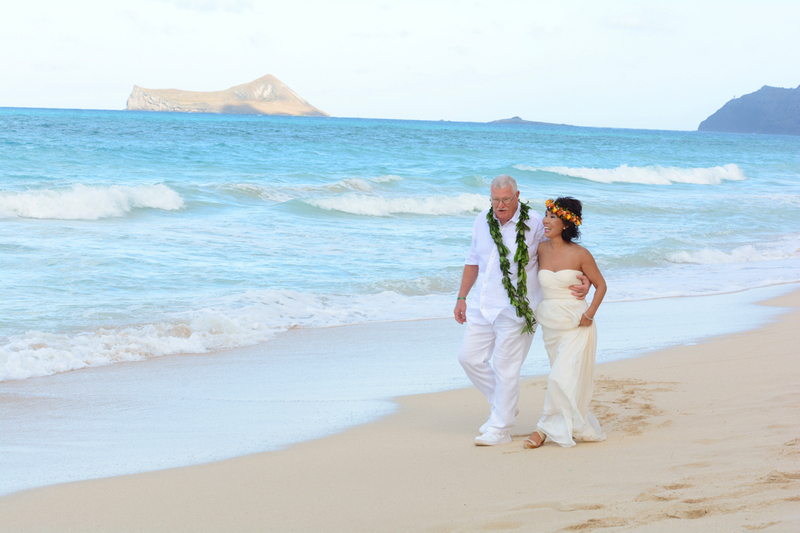 On our Deluxe Oahu Wedding Joe and Mia visit six beaches, starting off with their 2:00pm wedding ceremony at Kahala Beach. 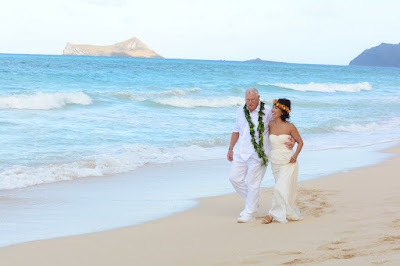 Then we go "over the Pali" for some photos at Lanikai Beach and Waimanalo Beach in East Oahu. 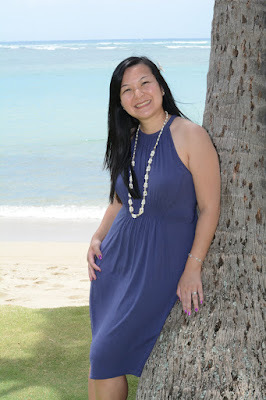 On our way back to Honolulu we stop at Makapuu Beach and Sandy Beach. 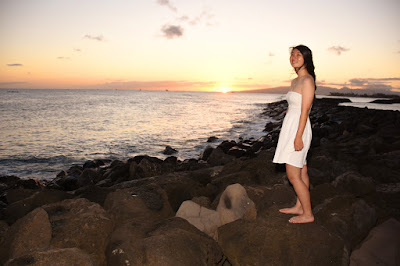 At 7:00pm we finish our photo tour with sunset photos at Magic Island. 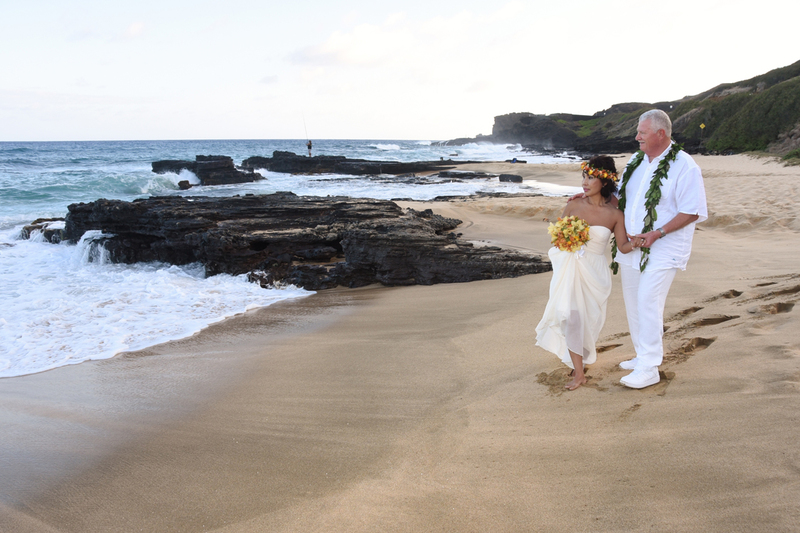 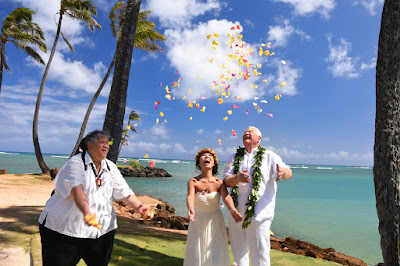 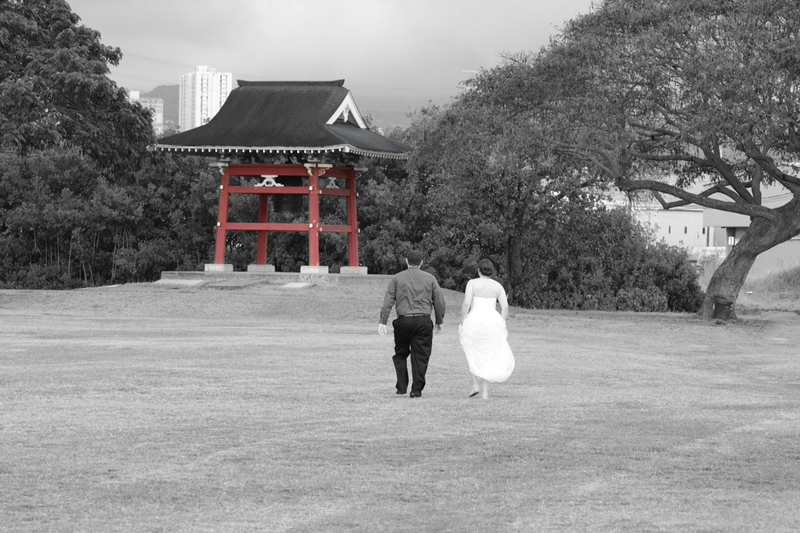 Call us at 808-924-3600 to set up your wedding photo tour. 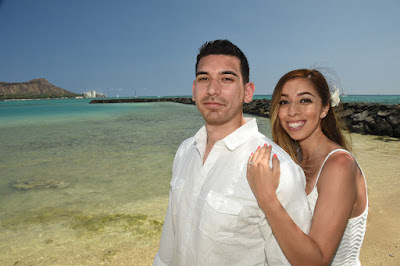 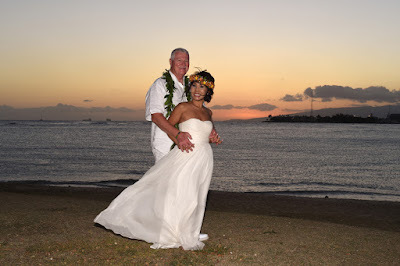 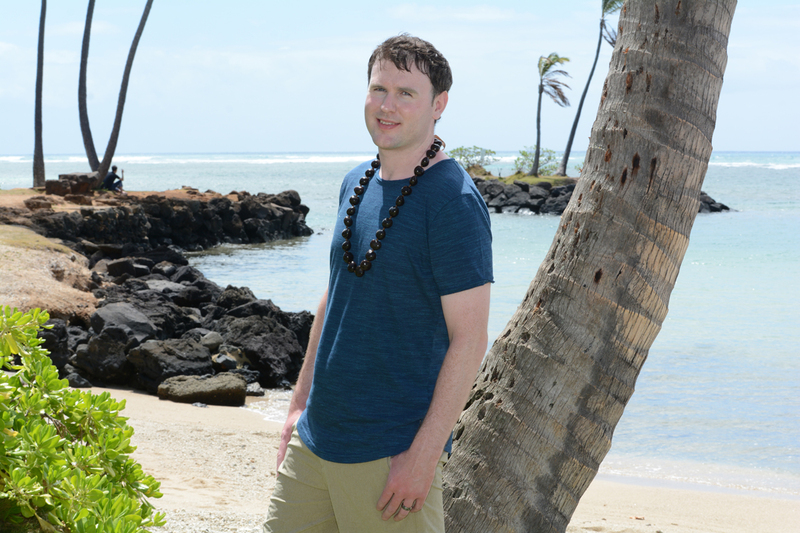 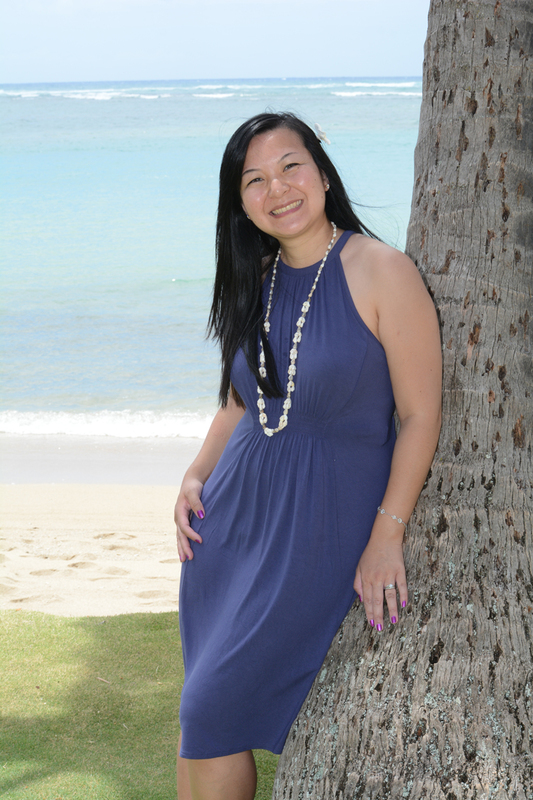 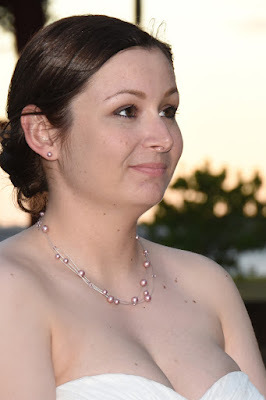 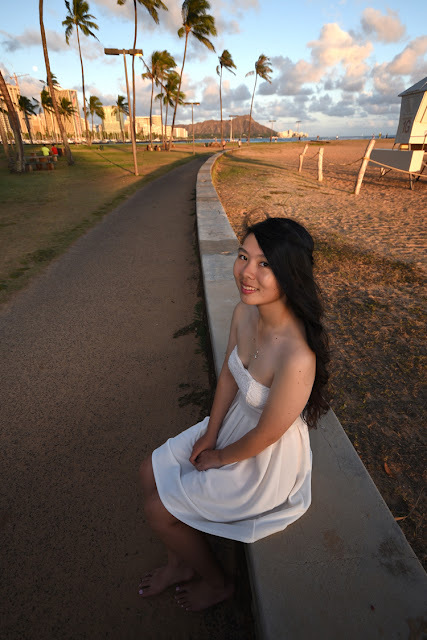 We shoot photos at Ala Moana Beach Park for just about any occasion. 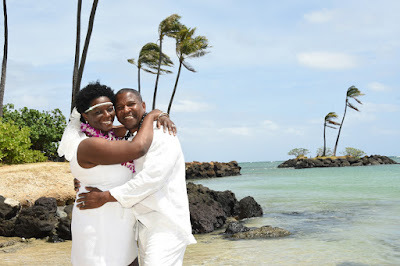 Weddings, Anniversaries, Honeymoon, Family Photos and Graduation photos. I liked the sunset view we had recently at this spot, so we went back again for some more beautiful sunset photos. 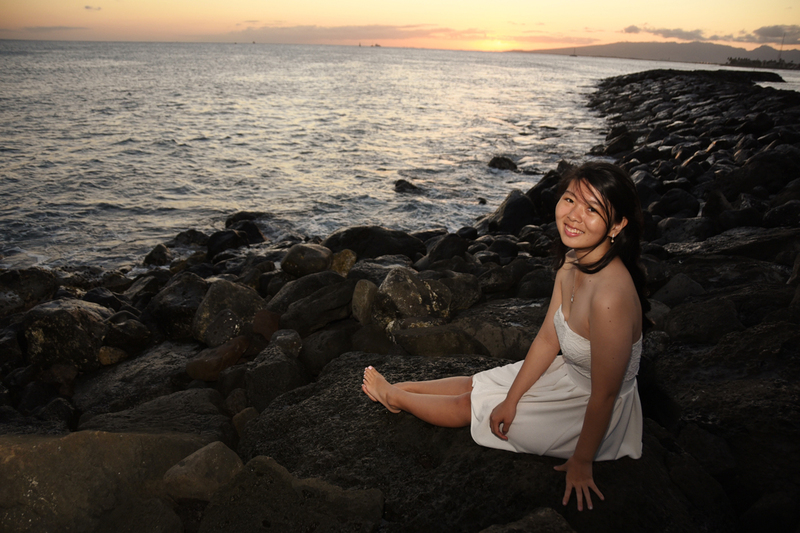 Nice sunset view from atop the sea wall at Magic Island. 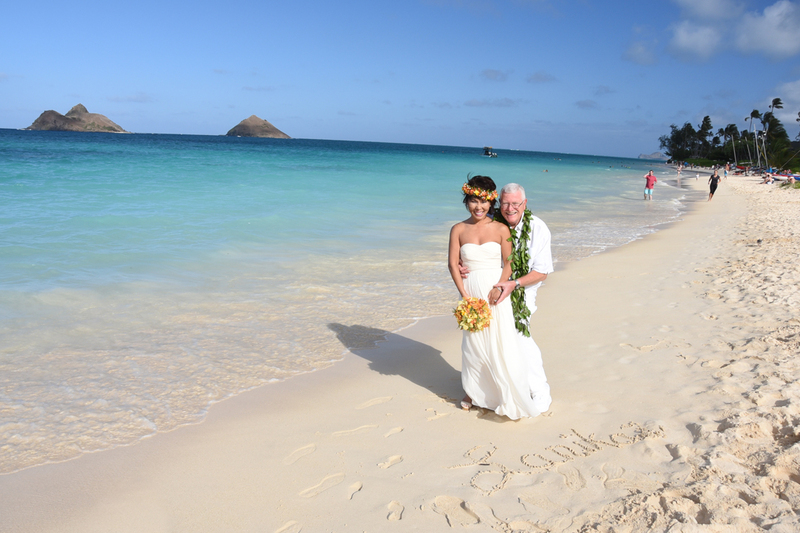 If you forget your sign, you can write it in the sand. 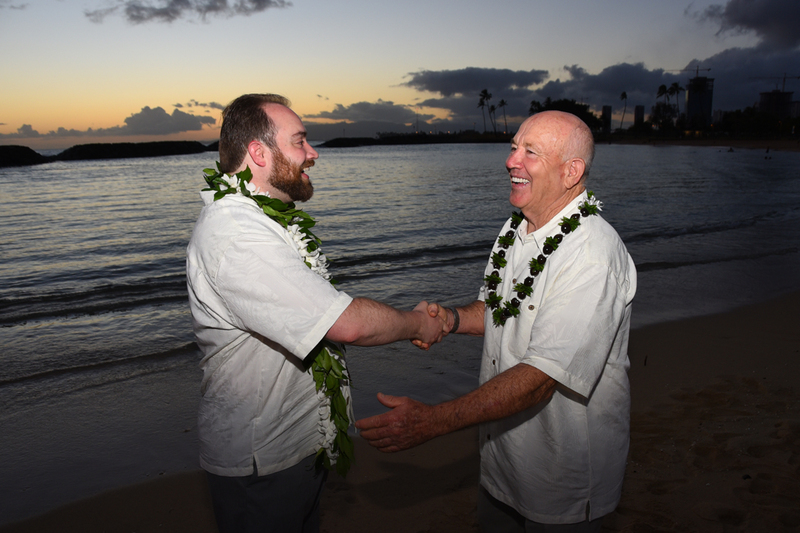 Always like to get a congratulations hand shake from the Groom's father or brother. 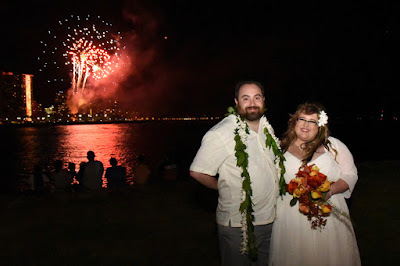 Every Friday night Hilton Hawaiian Village has a Waikiki fireworks display. Great show seen from Magic Island right after a sunset wedding. 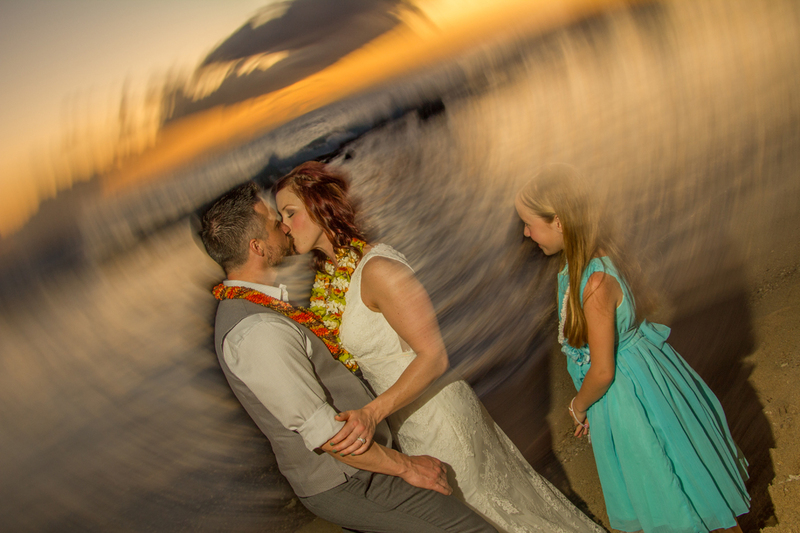 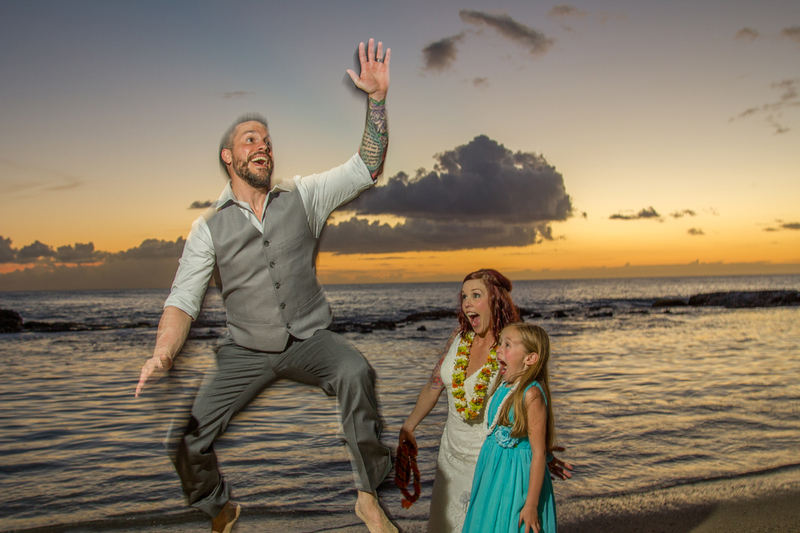 Our Photographer Jesse gets creative with fun-loving wedding photos in Ko Olina. 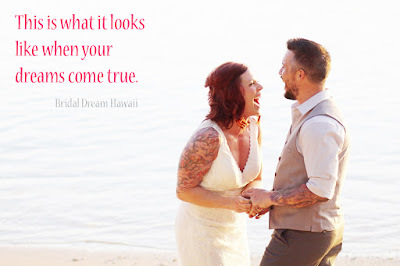 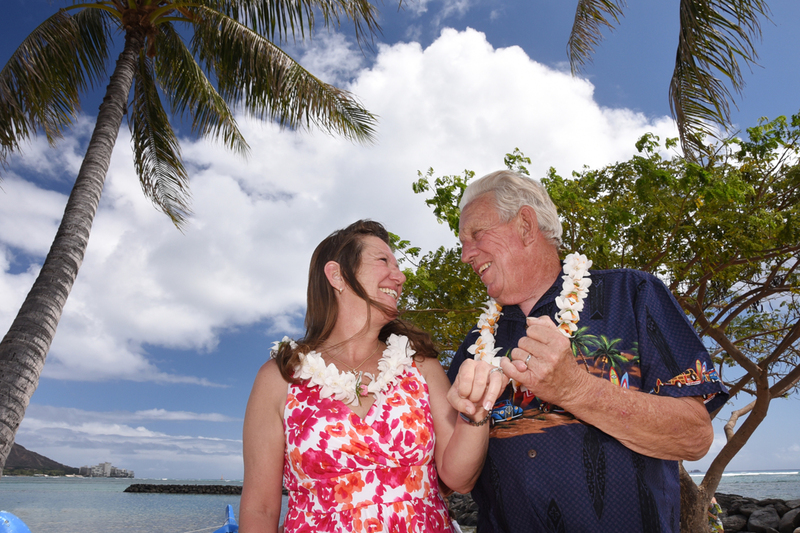 Happy couple has their dream wedding in Hawaii! 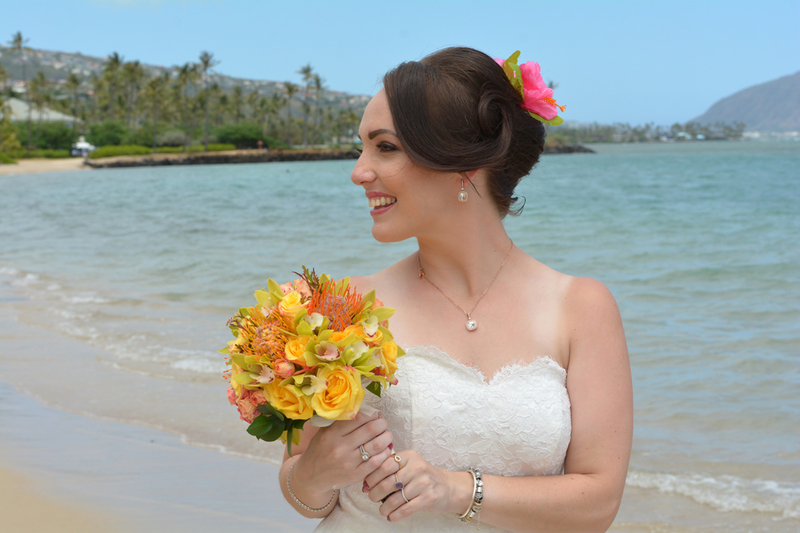 The "pinky link" is a cute way to show off your wedding rings. 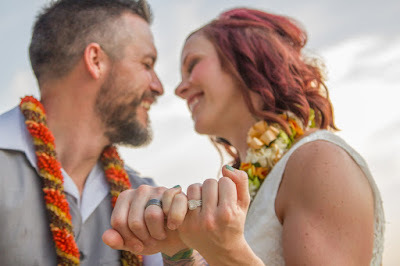 Elope to Honolulu with a little help from Bridal Dream Wedding Company. 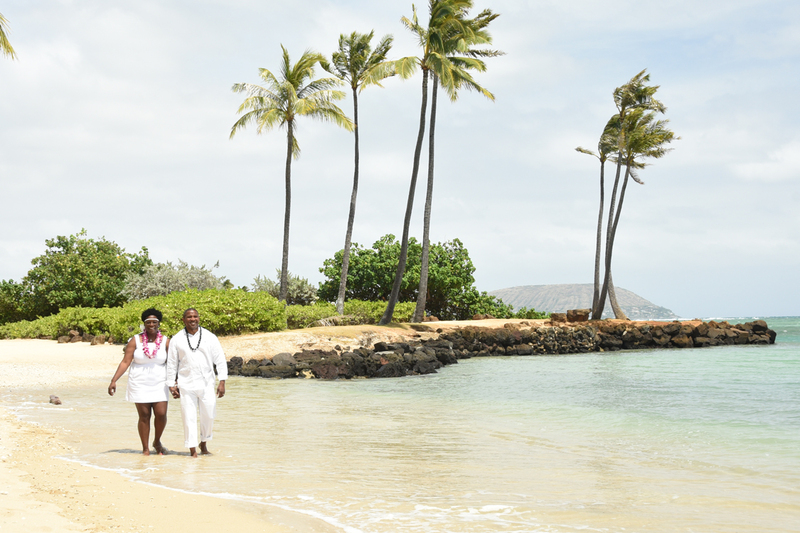 We're happy to be of service. 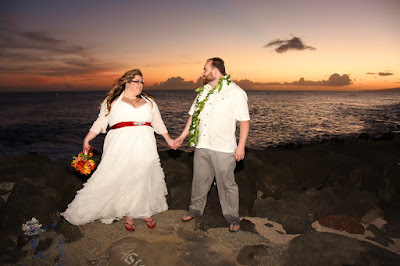 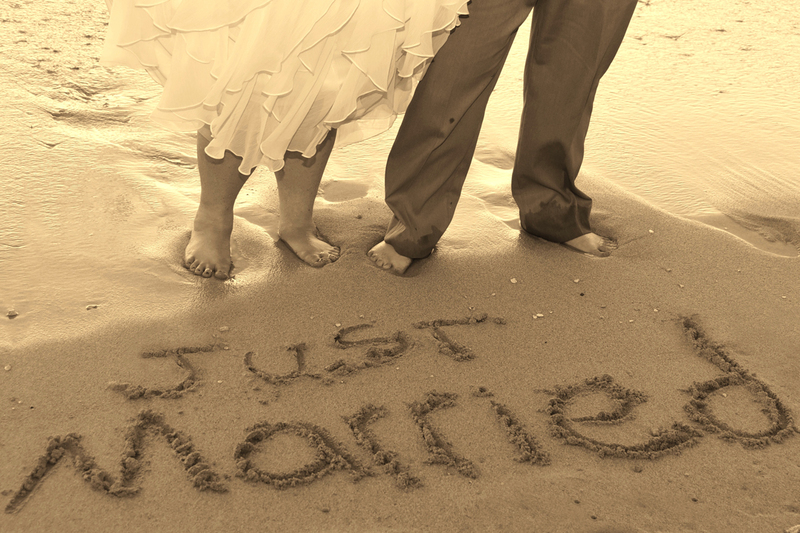 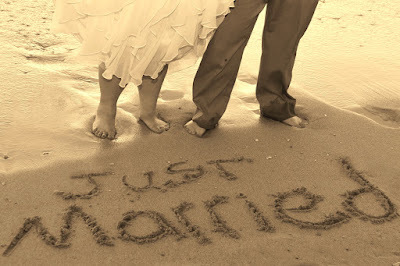 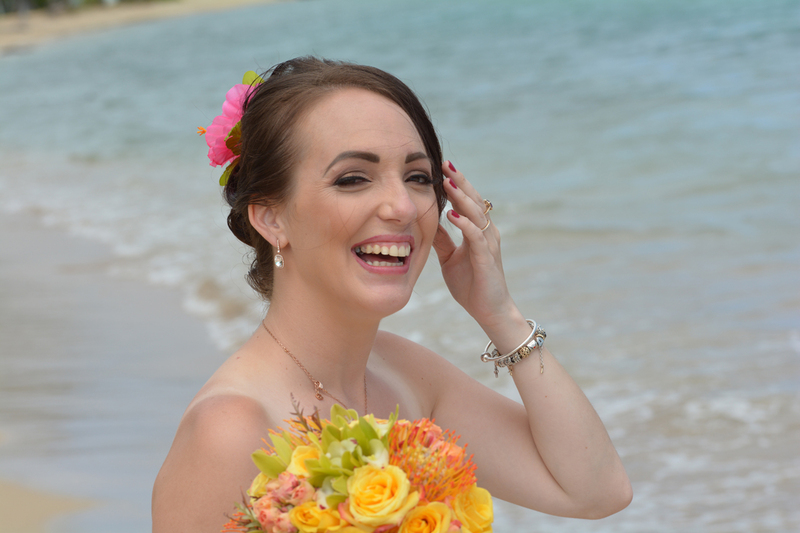 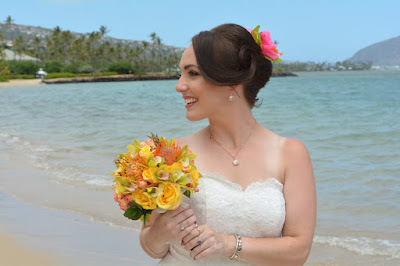 Simple and hassle-free Oahu beach weddings are our specialty! Our first time taking wedding photos at the Neal Blaisdell Park in Pearl City. Dakotta almost changed her mind about her photo shoot location, but the photos came out just fine at Neal Blaisdell Park. 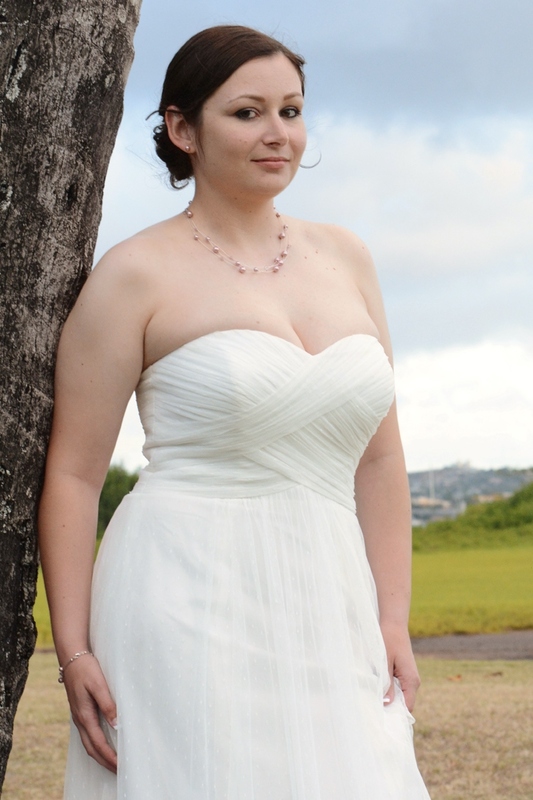 See her at Pretty Brides of Hawaii. Beautiful backdrop for stunning wedding photos at Kahala Peninsula with Cassius & Paulette. 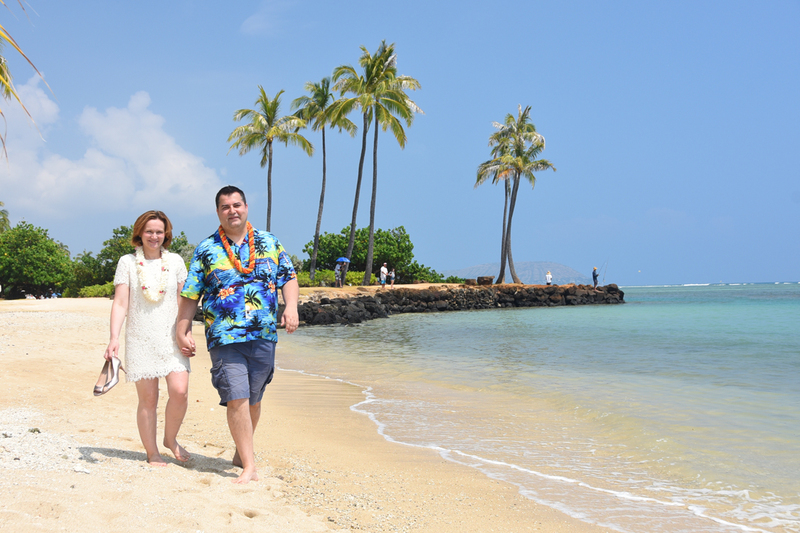 Our vacation photos turned into a marriage proposal and engagement photos.